Great little budget option between Cambridge and Chesterton. 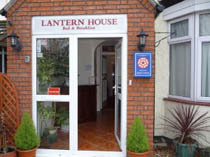 Why we wouldn’t hold a candle to any other guest house but Lantern House. The city is fairly elusive when it comes to affordable accommodation, such is the constant demand for lodgings but the rates here are very competitive. Situated just under two north of the city centre in the Chesterton district, this simple and unpretentious bed and breakfast offers a good range of single, double, twin and standard rooms likely to suit most types of traveller. The city's small but increasingly popular airport is two miles east and can be accessed using the A1134. All rooms have Televisions and refreshment trays and a full English breakfast is available every day in the dining room. The guest house is just a short walk to the River Cam, which provides a lovely 15-minute walk into the centre of Cambridge and all the famous colleges. If you wish to see Kings College or the Bridge of Sighs, guests will be pleased to learn there is a regular bus service to and from the centre. The bus stop can be found just a minute or two's walk from the guest house. Cycles are available to hire nearby for little more than a few pounds and taxi fares into the city are rarely above £5.00 - R4U.